You've been there before: you're super excited to dance, and you've waited at the velvet rope for two hours before the doorman gives you a disapproving once-over and pretends to not find your name on "the list"; you finally get into the club, and you realize, like, 10 minutes later that waiting in line for a drink to shake your booty to the exact same oontz-oontz you've heard a billion times is not exactly the most fun you can have on a dance floor. 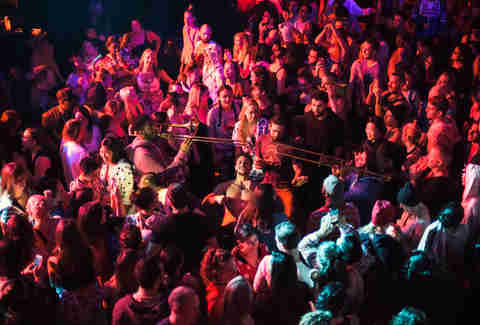 Which is where this list comes in: these are the best dance parties in LA... for people who hate traditional dance parties. 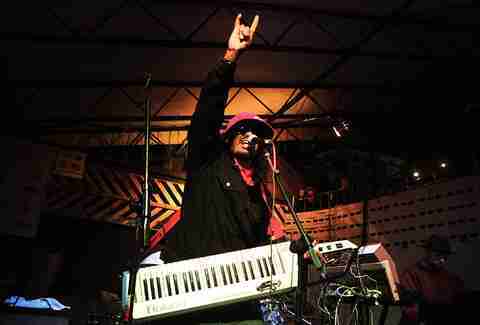 Local legend Dam-Funk is the mastermind behind this rare-'70s funk night, where DJs from all over the world fly in to prove they have the sort of vinyl collections that would make Dr. Dre cry with envy. It gets started late-by-LA-standards (when we were there last week, the dance floor didn't get popping until about 11:30pm), making it a great post-whatever-else-you-were-doing hang. 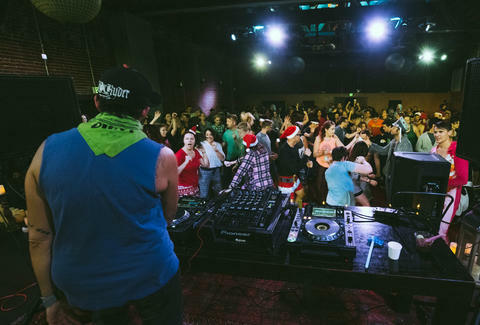 This multi-city pop-oriented dance party bucks the trend by starting at 6am and ending by the time most people need to get to work (yes, that says SIX AM). Though it sounds sort of nightmareish, Daybreaker is an absurdly fun way to start the day: the pickup scene's nonexistent, there are no drugs or alcohol, and everyone's basically in the same I-can't-believe-I-woke-up-this-early boat, which means, ironically, a real lack of inhibition. Expect conga lines, oddball sing-a-longs, and maybe even a horn section. This OG mash-up night brings together all sorts of hits -- you may hear a typical club-banger (say, a David Guetta song) that all of a sudden becomes AC/DC's "Highway To Hell." They frequently bring in guest DJs and occasional bands to mix it up, too, and often have themed nights -- including an all-'80s party February 20th -- to which you should absolutely wear costumes. Proving that the nostalgia cycle is getting shorter and shorter, Emo Night's exactly what it sounds like: a celebration of all the shout-along catharsis that anyone in the scene remembers from, like, 10 years ago. But they've also got the artists themselves onboard: Dashboard Confessional's Chris Carrabba played their one-year anniversary party, and Blink-182's Mark Hoppus DJ'd a set... of Blink songs... while singing along. Seriously. It's named after a LCD Soundsystem song, so that should give you an idea of what you're going to get: hipster dance-pop, and the missing-Coachella hipsters who love it. 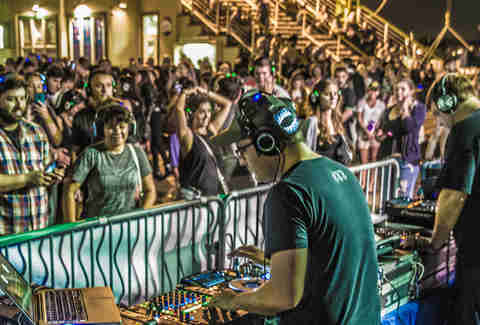 The appeal for these often-outdoor dance nights isn't specifically the music (though it's usually themed, with past events ranging from Radiohead to Kanye); instead, it's the delivery mechanism. Everyone in attendance gets headphones, which are the only place to hear the music. In other words, it's a totally silent disco, until everyone starts singing along. Which makes it super, duper fun. Jeff Miller does not go to clubs but he'll go to any of these. Hit him on Instagram or Twitter.